After years of public outcry that 16 gigabytes of storage simply isn't enough, Apple's next-generation iPhone will reportedly ship with a minimum of 32 gigabytes of capacity for the entry-level model. Citing a source familiar with Apple's plans, The Wall Street Journal reported on Tuesday that the base model for Apple's anticipated "iPhone 7" will include 32 gigabytes of storage. That's twice the 16-gigabyte minimum that has remained in Apple's iPhone lineup for years. The report didn't indicate what the rest of the product lineup might look like, though there have been rumors that Apple will offer a new high-end model with a whopping 256 gigabytes of storage. Currently, the flagship iPhone 6s maxes out at 128 gigabytes. Apple's entry-level 16-gigabyte offering on the iPhone has been largely viewed as an upsell tactic, especially since Apple ditched the 32-gigabyte capacity starting with the iPhone 6 in 2014. That carried over to the iPhone 6s, allowing customers to quadruple their storage to 64 gigabytes for an additional $100. A number of non-Apple smartphones now have 32 gigabytes by default, since memory has become cheaper and the size of apps, media, and operating systems has made 16 gigabytes increasingly impractical. 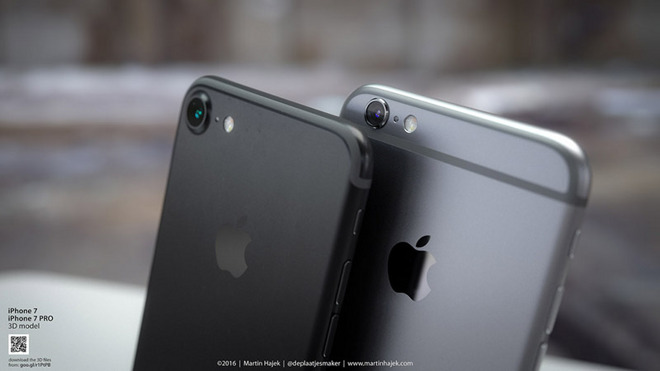 This year's iPhone upgrade is also expected to have much improved cameras, while the continued availability of 4K video on the iPhone can also consume onboard storage quickly. Apple is expected to unveil and ship its 2016 iPhone in September. It's expected to have a next-generation "A10" processor, and to ditch the legacy 3.5-millimeter headphone jack for the thinnest iPhone design ever.